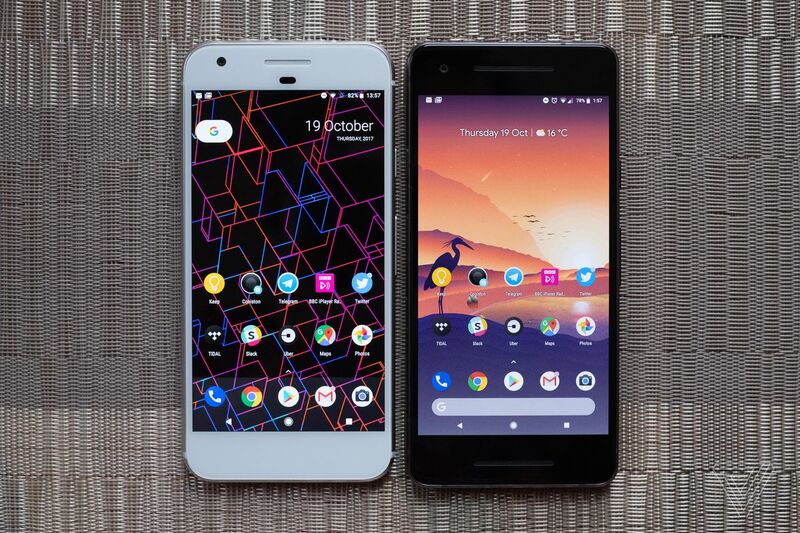 Home Gadgets Mobile Technology Google Pixel vs. Pixel 2 – Past Gearing up with Present or Not? 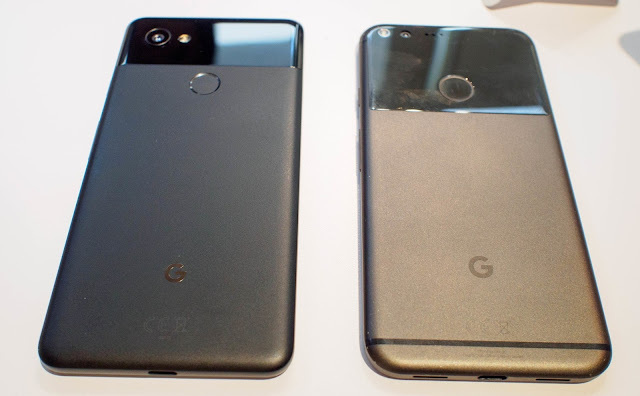 Google Pixel vs. Pixel 2 – Past Gearing up with Present or Not? It’s no secret that people have been deeply love-stroked by the incredible existence of Google smartphones. Previously Google Pixel and Google Pixel XL marked a big difference in Google’s mobile efforts, then yet again last year’s Pixel 2 and Pixel 2 XL were seen making a BIGGER difference. Undoubtedly both phones are capable of taking over the crown of best smartphones like Samsung, Apple for the coming days and sweeping up many loyal fans. Google entered in the smartphone business with its own mobile hardware company lineup – Nexus, which is now turning into a serious business. Google phones have been making up to the mark as seen from the incredible success of Google Pixel, Google’s Pixel 2 and Pixel 2 XL came out as its successor – leaving everybody else in the dilemma of deciding whether it’s worth spending a considerable amount of bucks or not? The phones may be looking similar but that’s not at all true, pixel 2 feels superior to the older model. Both phones are of aluminum exterior but the matt coating of pixel 2 makes it more elegant and pleasant to touch. The massive chamfer is has vanished from this new model and it looks more delicate with this straight-line sleek look. Another upgrade in the design is the water-resistance feature. All in all, a refined version of the already beautiful Pixel. If you wonder what could Google add more to the outstanding camera of pixel one, then be ready to be surprised. First among them is the addition of optical image stabilization which helps to minimize motion blur from an unsteady hand. As far as image quality goes, the biggest upgrade between both the phones is in the removal of the halo effect from the original. Pixel 2 is manifestly superior to the pixel in low light conditions. Unarguably, the camera is worthy of being called as a generation upgrade. You must be wondering who talks about Bluetooth in this age. Well, Google does one of the major architectural changes include death grip Bluetooth which is never going to let down wireless headsets. A connection so strong that you cannot simply break easily. This is one another thing that redefines pixel 2. The main reason why Google didn’t abundant its large frames around the new pixel is its horrifyingly amazing speakers. The front firing incredible speakers of the phone are a legit delight. Since 2017 hasn’t been a great year with sound, Google chose not to compromise on this delivering you with the best. Change is good but not all the changes are good, same happened with Pixel 2. Google made minimal-effort life impossible by removing the headphone jack from the Pixel 2. The exclusion of headphone jack may just not be very comfortable for everyone like not everyone cannot just jump aboard the wireless bandwagon so easily. This is where Google Pixel 2 disappointed most of its minimalist admirers. Not it’s all up to you whether you like to step up your smartphone game with Google pixel 2 or continue to live in peace with your old pixel phone, choice is yours.